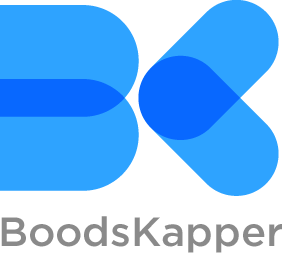 BoodsKapper (BK) is a virtual office assistant that can assign the right technician to the right work order, engage with your customers and provide conversational reporting. BK is trained with best practices in the public housing, HVAC, and Food manufacturing industries. 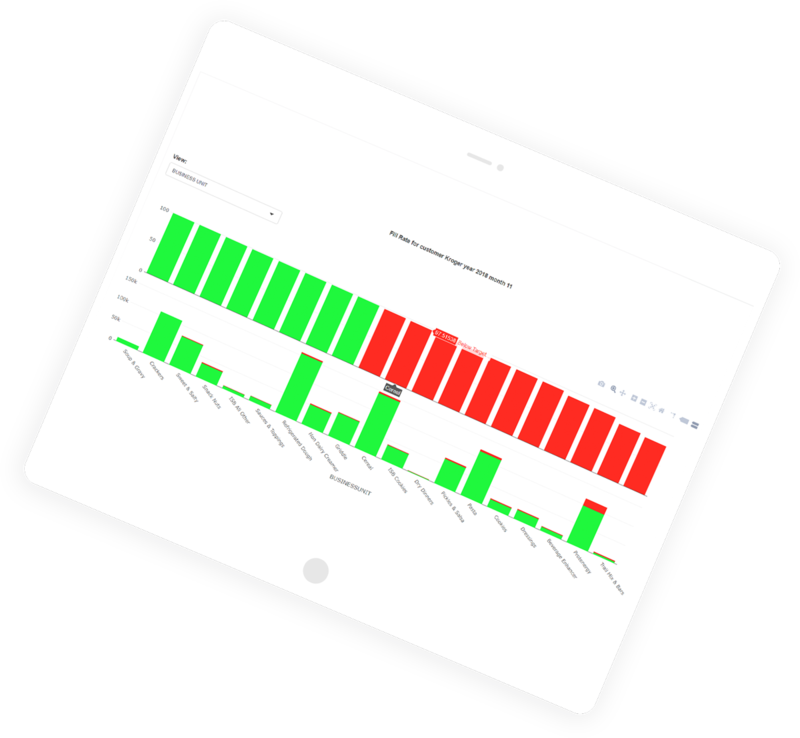 BoodsKapper (BK) is a virtual office assistant that can assign the right technician to the right work order, engage with your customers and provide conversational reporting. BK is trained with best practices in the public housing, HVAC and Food manufacturing industries. BK is trained to run the housing choice voucher program with a high degree of automation and visibility for management. 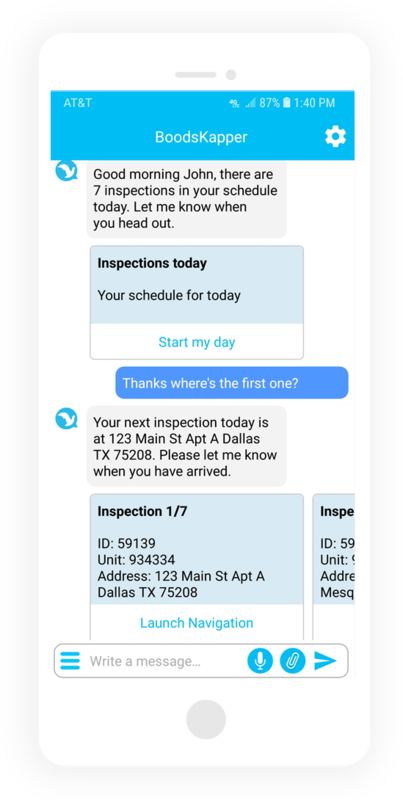 BK can assign Annual Inspections, Bi-annual Inspections, Re-inspections, Abate Cure Inspections, Quality Control Inspections and Special Inspections to the right inspector, carry out the conversations with the landlords and clients through various messaging channels, and provide real time reporting to management. With a free trial you will get access to our virtual sales agent, community of PHA executives, and a dedicated product specialist. No credit card or contract needed. This virtual employee is trained to match and assign the right technician to the right job based on specific requests made by the customer, the skills of the technician, and the proximity of the technician to the job location. BK will learn the specifics of your business over time. Customers will be able to text the assistant from different platforms: Google and Apple searches, your website, your social media advertisements, your mobile app and the Bob.ai app. For home builders, the application learns your specs by reading your catalogs and makes it possible for you to provide exceptional customer service for homes covered under your warranty. This virtual employee is trained to provide conversational reporting for the supply chain, customer service, and fulfilment teams in the food manufacturing industry. BK understands concepts used in the industry; such as, fill rate, gross & net sales, gross profit margins and plant performance. 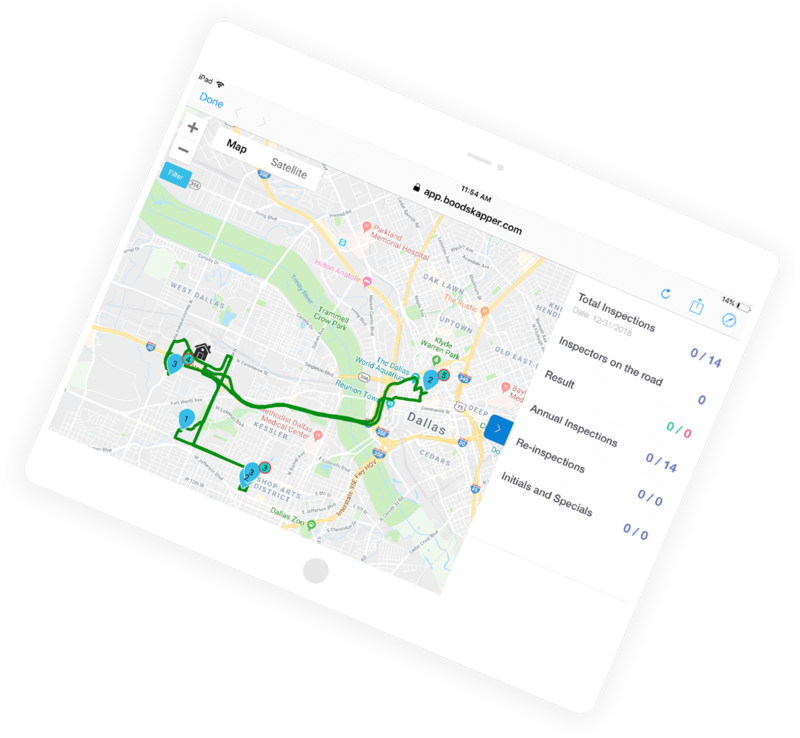 BK also understands the aggregation levels in the industry; such as, business units, categories, and divisions, to name a few.